An Orange County injury attorney is familiar with many common misconceptions people have regarding their personal injury cases. If you have been injured in a motor vehicle accident caused by the negligence of another driver, you have the ability to file a personal injury civil lawsuit against the other driver. Many people are injured in car accidents in California every year. According to the California Highway Patrol, 226,544 people were injured in motor vehicle collisions in 2012 alone. Many injured people hinder their ability to recover damages due to mistaken beliefs. Here are some common myths about personal injury claims. 1. Personal injury cases are easy to win. Many people wrongly believe that they will quickly and easily obtain money in their personal injury cases. It often takes more than simply picking up the telephone to collect compensation. Generally, you can seek damages for many things, including past and ongoing medical and treatment expenses, past and future losses of income, compensation for your pain and suffering and compensation for losses in your quality of life. 2. Personal injury lawsuits can be filed any time. California law provides a statutory time bar beyond which a lawsuit may not be filed. This time limit is called the statute of limitations, and if you do not file your claim within the prescribed time period, you will never be able to seek recovery for your losses. California provides that you only have two years from the date of your injury to file a lawsuit. It is thus important for you to seek help from an Orange County injury attorney as soon as possible after your accident happens. 3. 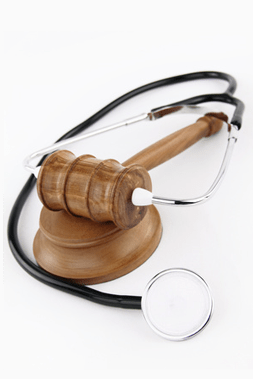 The negligent driver’s insurance company will pay medical expenses as they accrue. Many people believe that the other driver’s insurance company will pay medical bills as they are incurred. The insurance company is not required to pay any of your medical expenses until the at-fault driver has a judgment entered against them. You should also refrain from signing settlement agreements with the insurance company prior to your case’s conclusion, as you may be waiving compensation for future costs by doing so. You should have any offers reviewed by your attorney. 4. Plaintiffs are guaranteed to win. Many people wrongly believe that they will automatically win their personal injury cases. It is important to realize that there are never any guarantees that you will win. 5. Personal injury cases drag on forever. Some people have the idea that a personal injury lawsuit will drag on for years. In most cases, however, a personal injury lawsuit will be resolved in as little as eight to 12 months. Settlements are sometimes reached faster than that, while cases that go to trial may take longer. 6. If a person settles, they can always go back later and request more money. Once you reach a settlement or get awarded money through a trial, you may not later go back and request additional compensation. You will be barred from doing so. 7. A lawyer is not needed for a personal injury case. While it is true that California law allows people to represent themselves in court, and you have the ability to negotiate with an insurance company on your own, an Orange car injury lawyer may have a better understanding of the laws governing your case. They may also be able to identify damages you may overlook and help you maximize your recovery. When you have been seriously injured in an automobile accident, you may have been left to deal with significant medical expenses, property losses, lost time from work and a reduction in your quality of life. It is important for you to act quickly after you have an accident injury due to another driver’s negligence. Schedule an appointment with an Orange County injury attorney at Russell & Lazarus APC by calling (949) 851-0222.